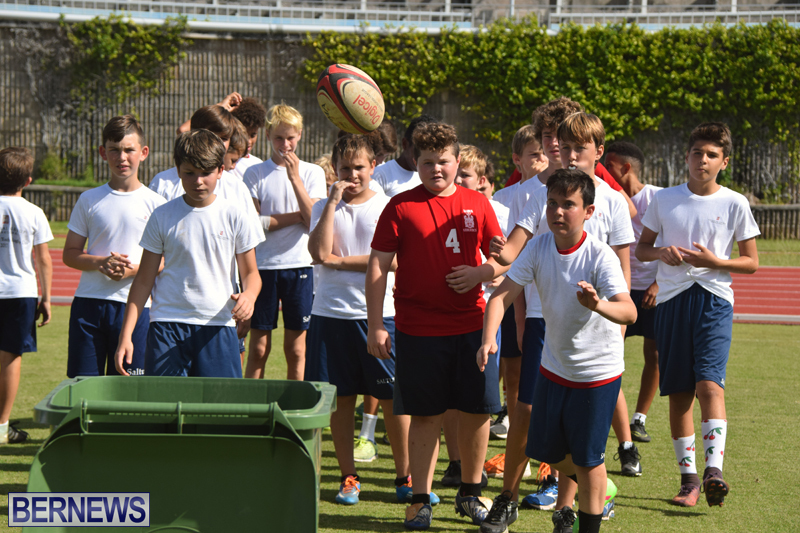 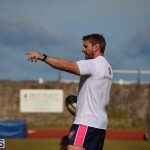 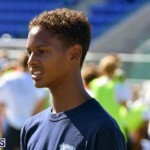 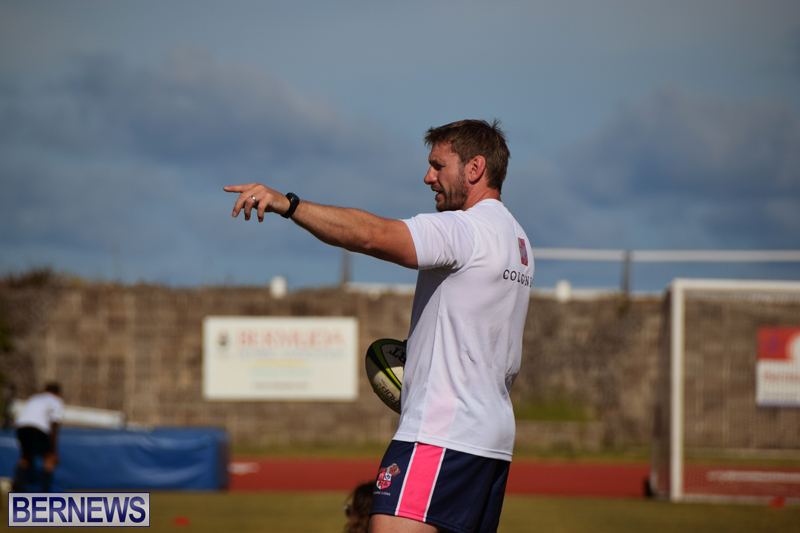 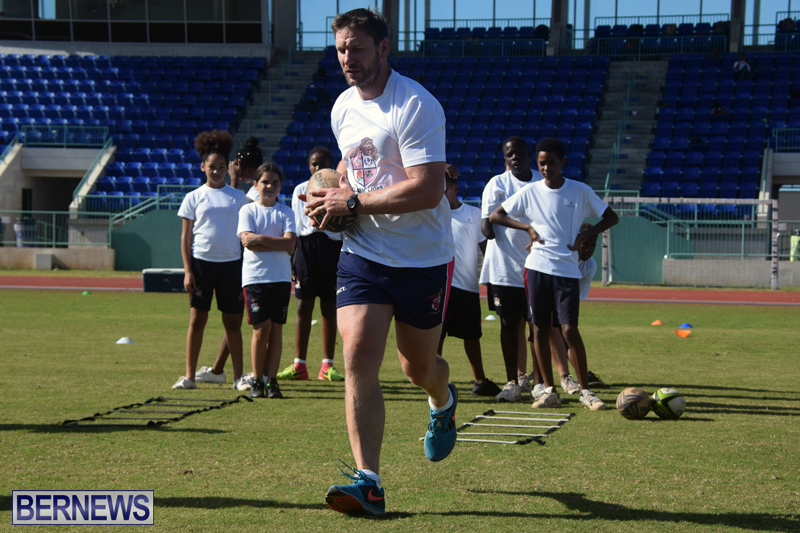 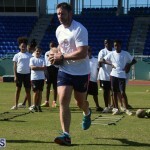 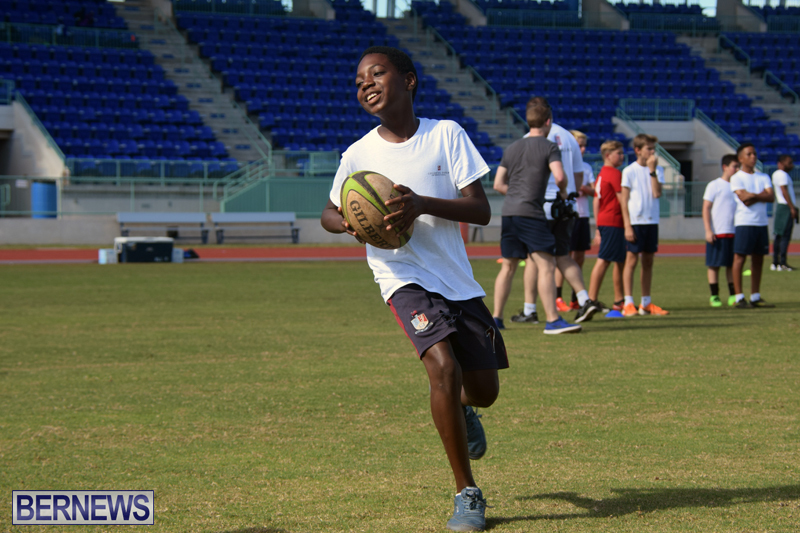 Hundreds of rugby-playing youngsters converged on the National Sports Centre earlier this week for coaching from some of the world’s top players. 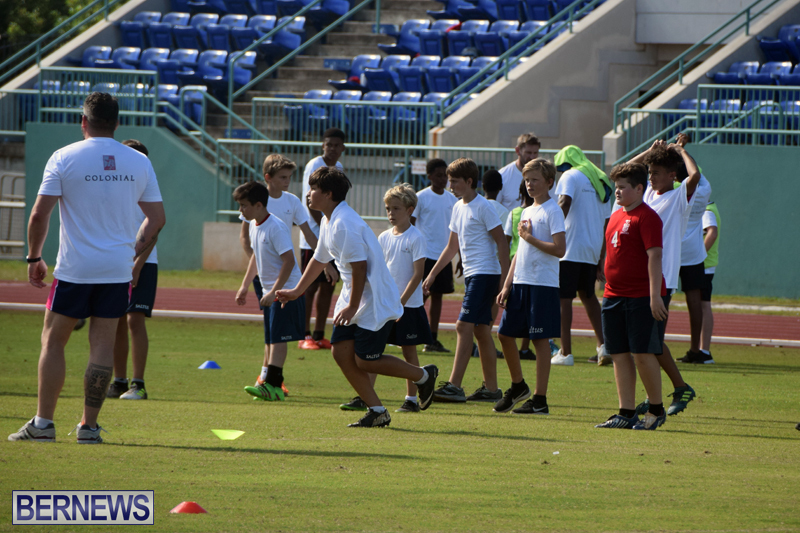 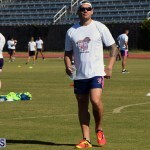 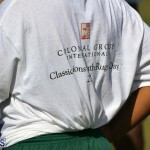 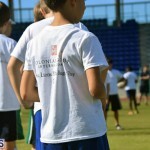 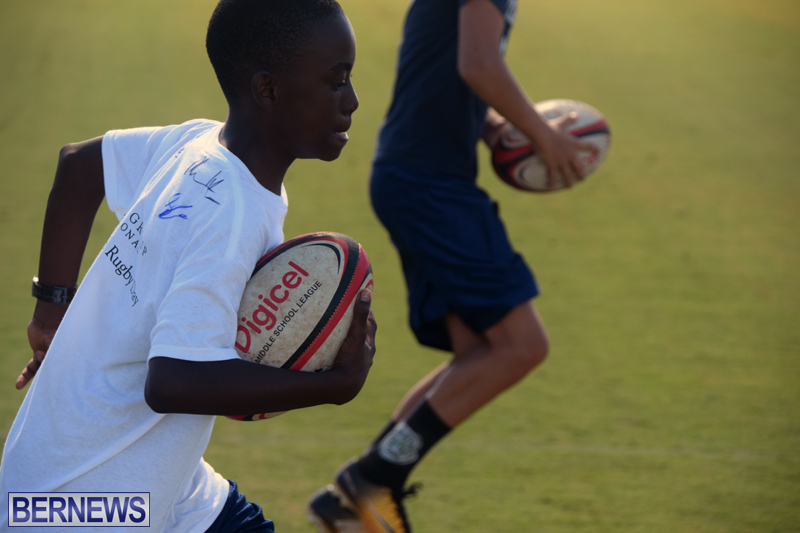 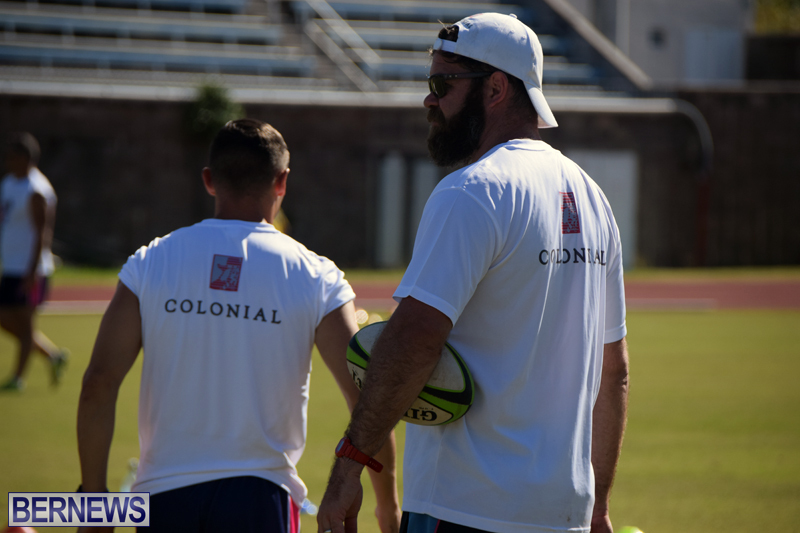 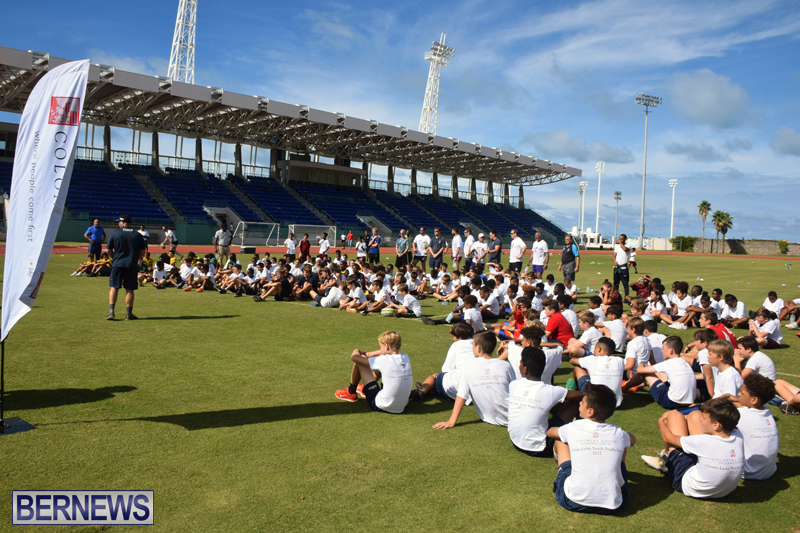 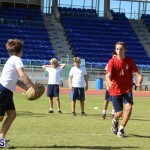 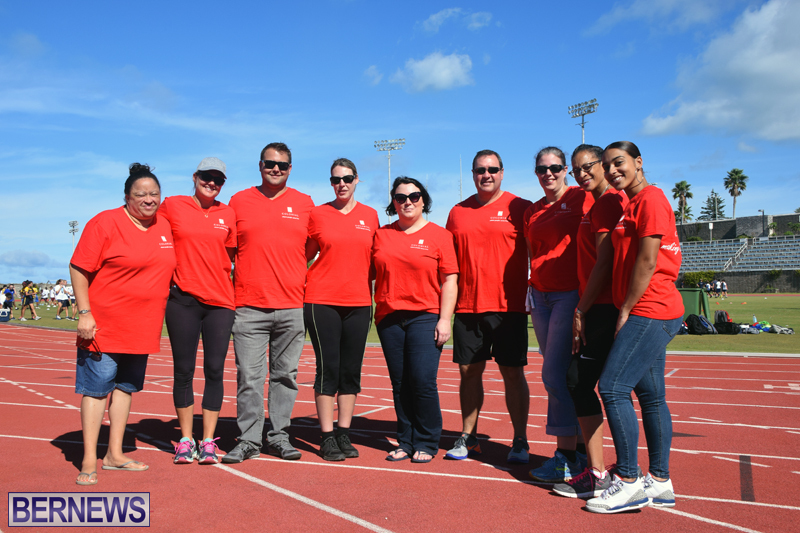 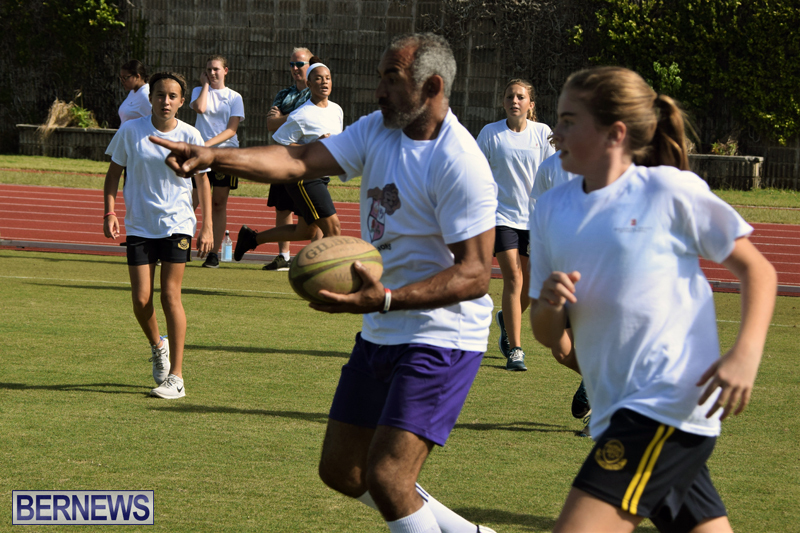 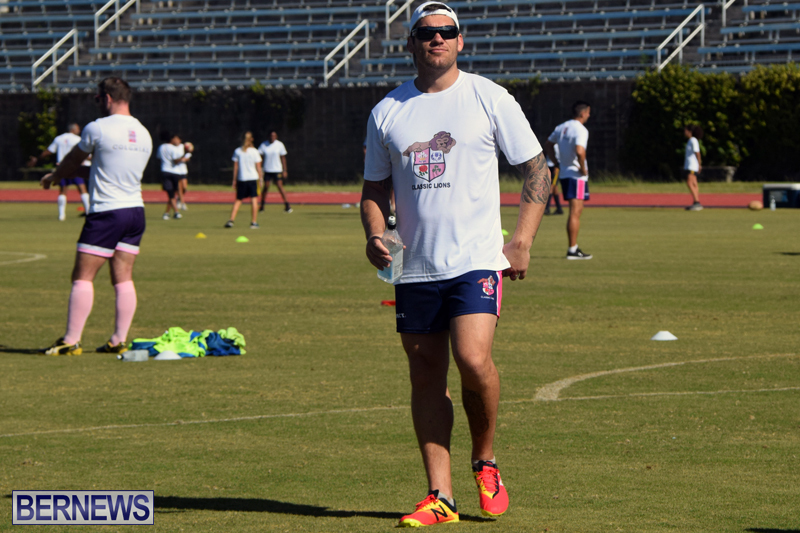 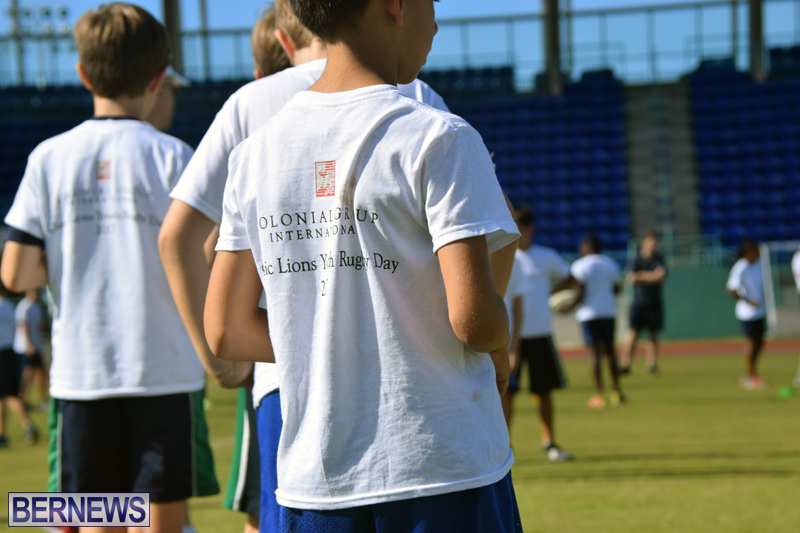 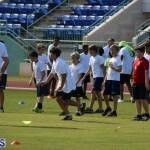 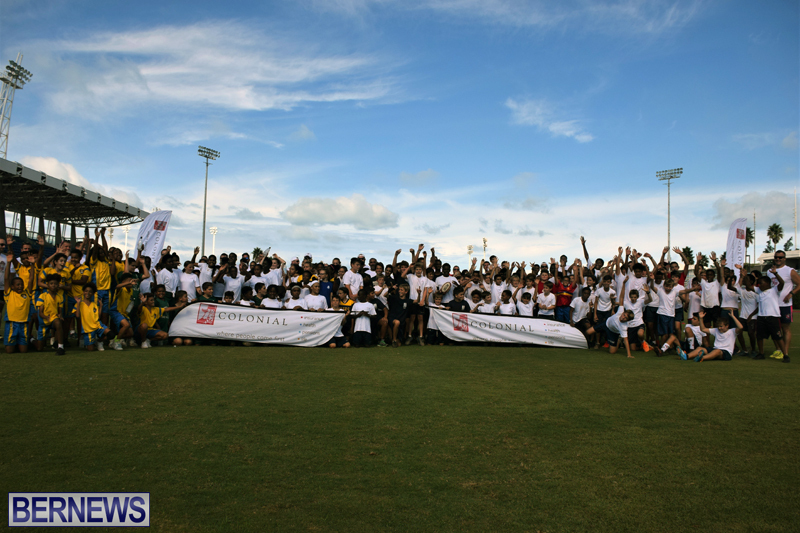 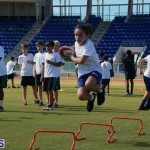 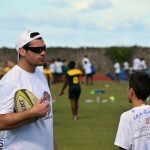 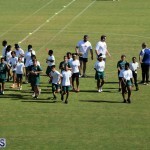 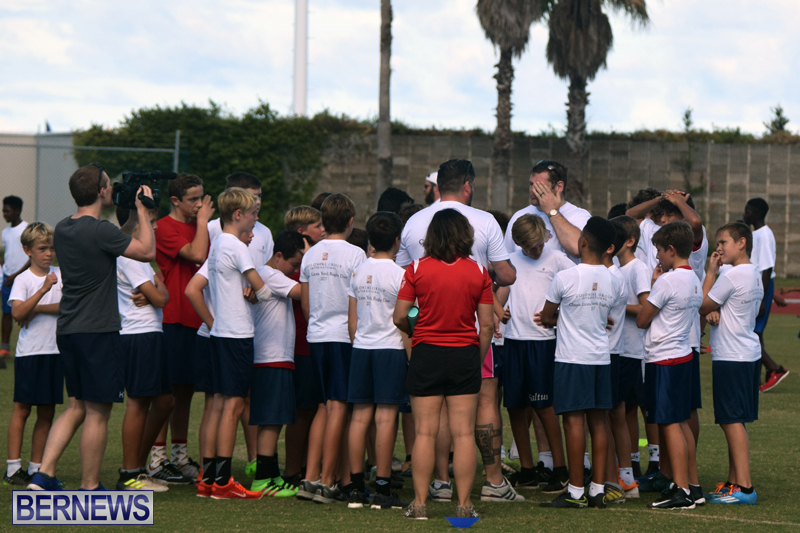 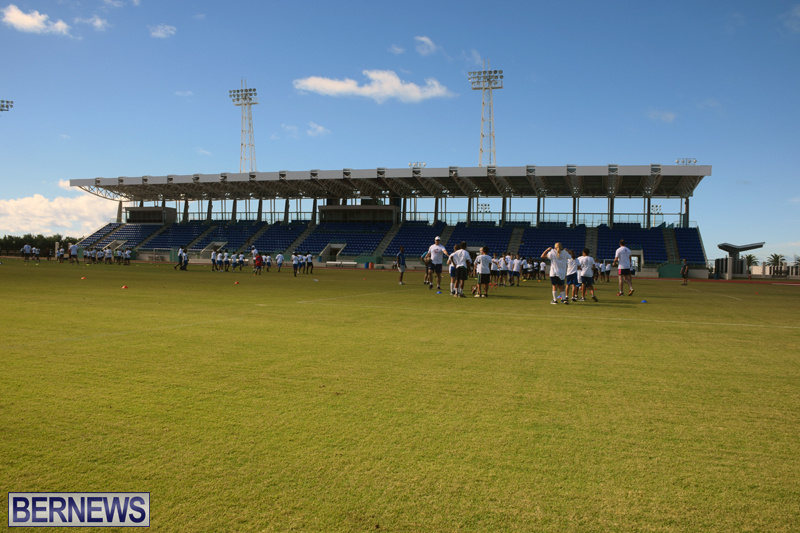 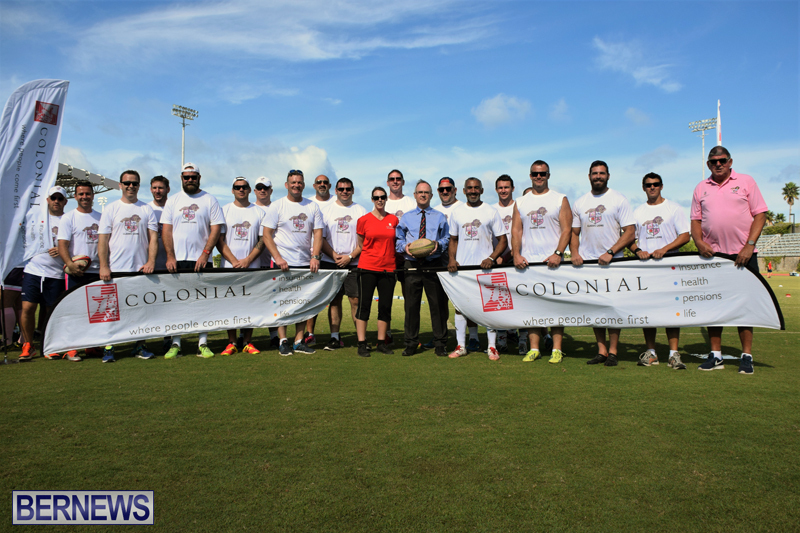 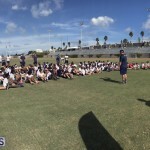 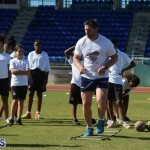 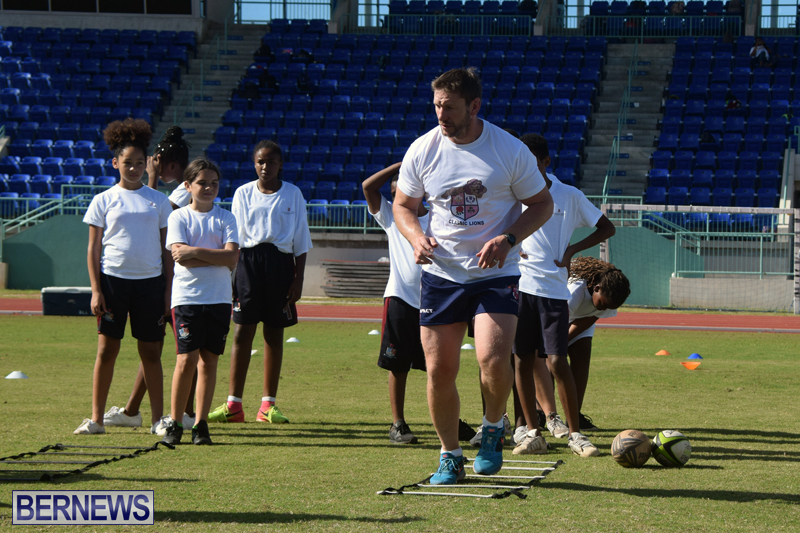 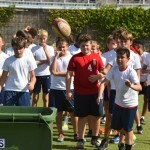 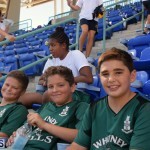 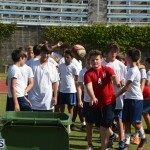 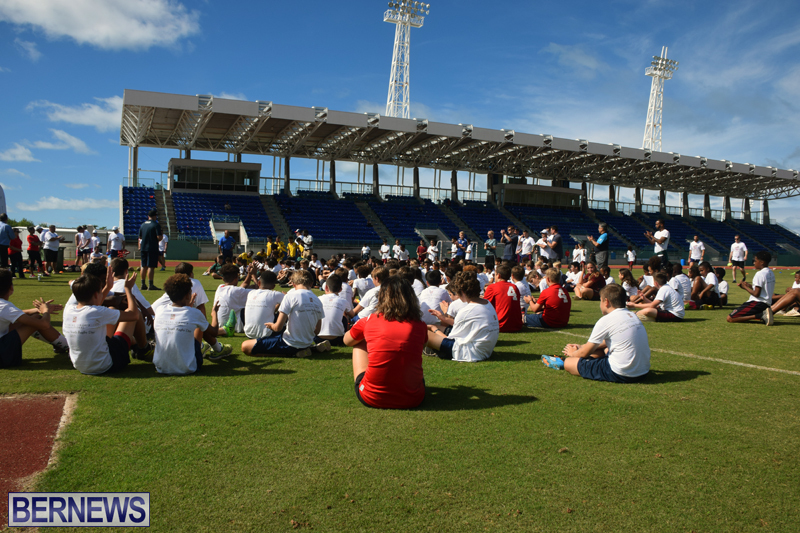 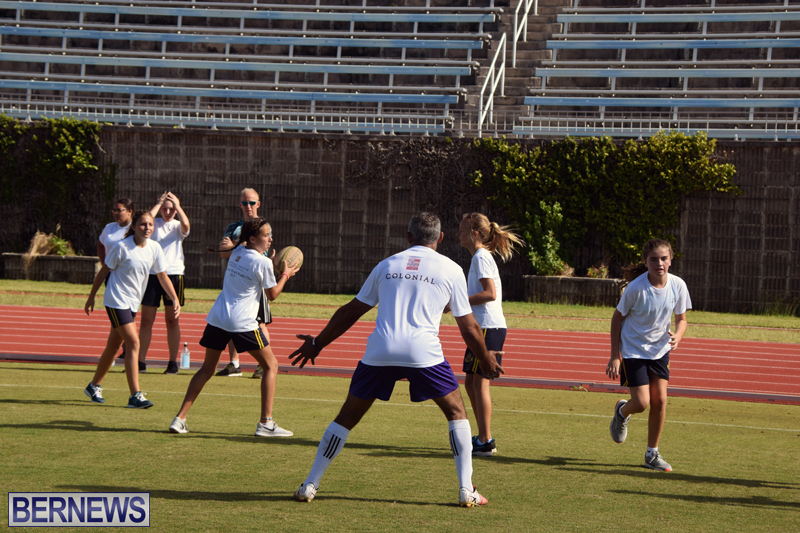 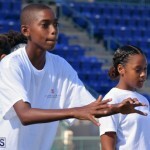 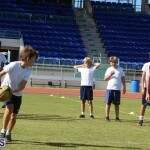 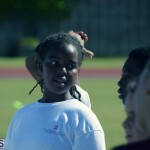 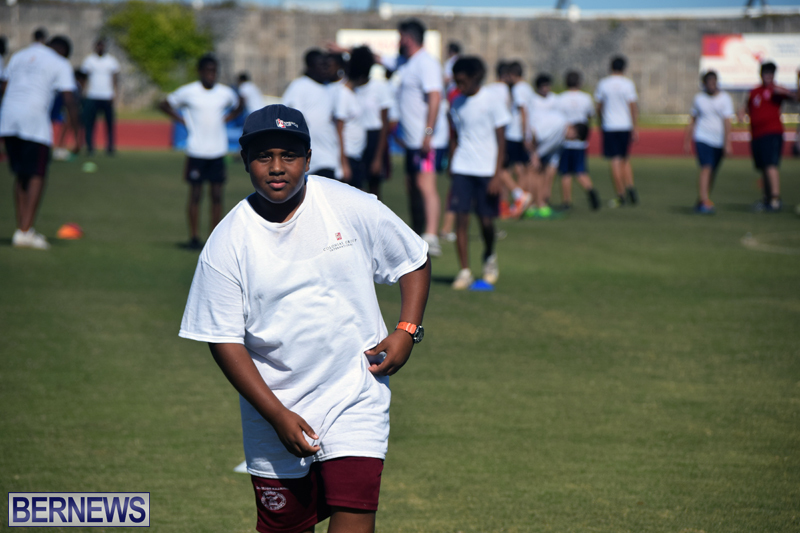 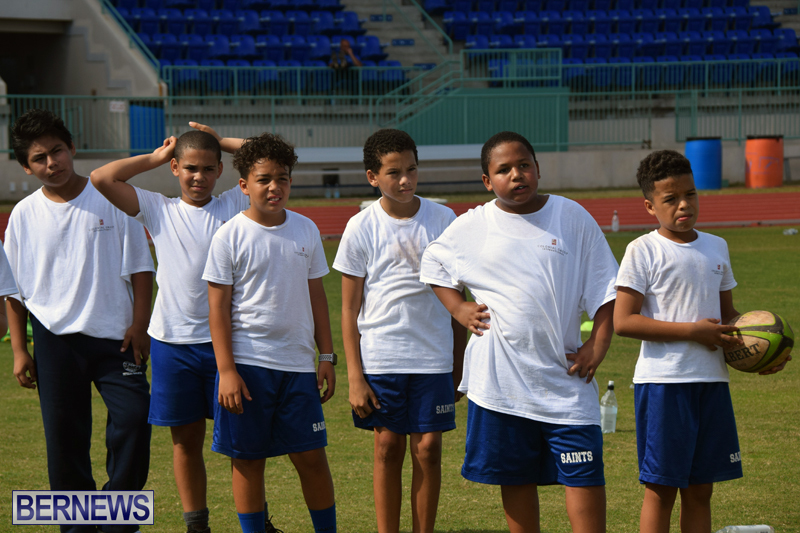 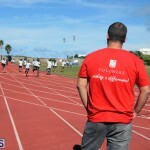 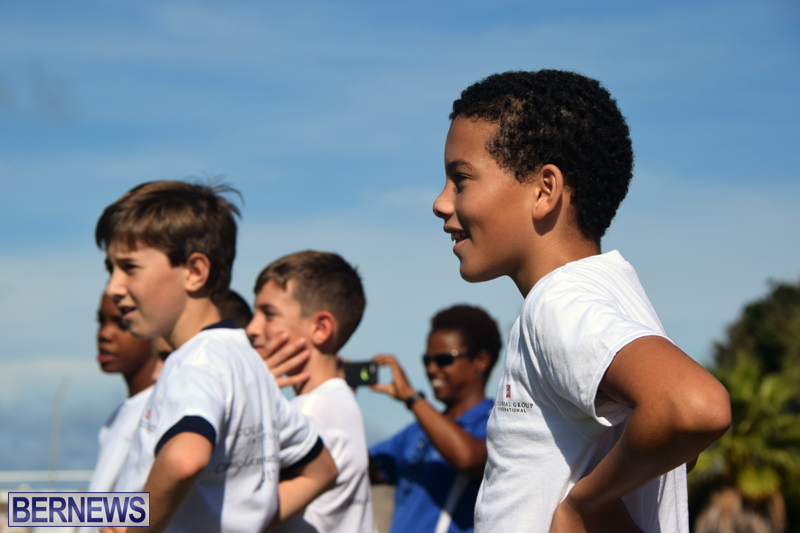 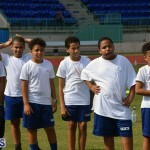 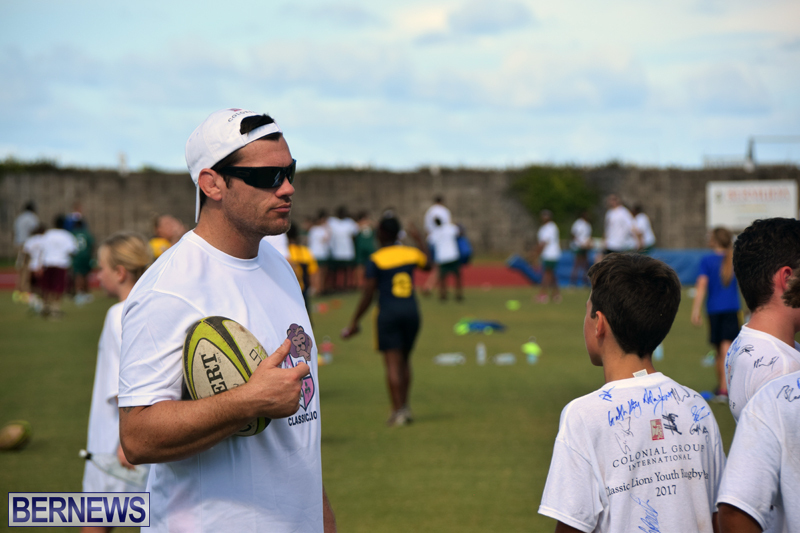 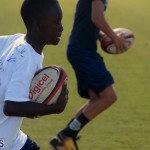 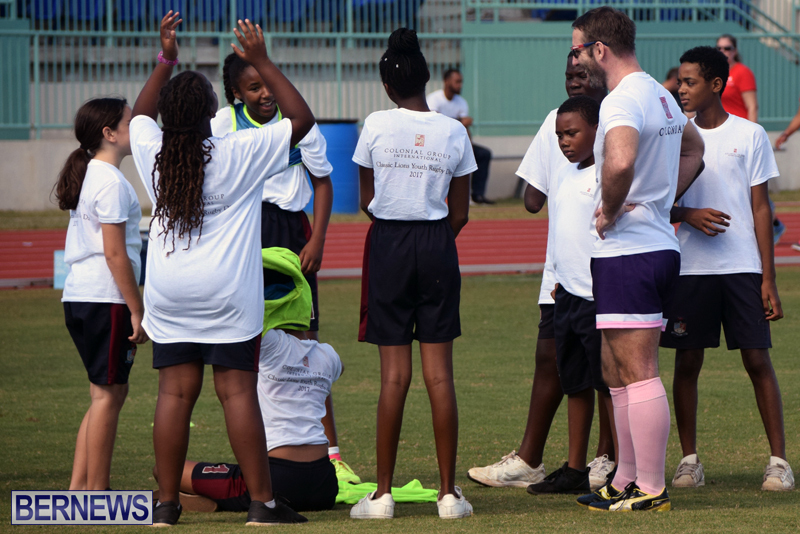 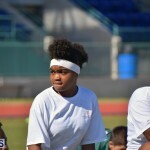 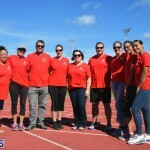 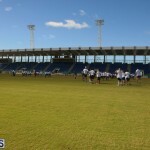 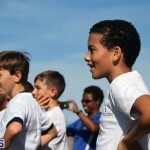 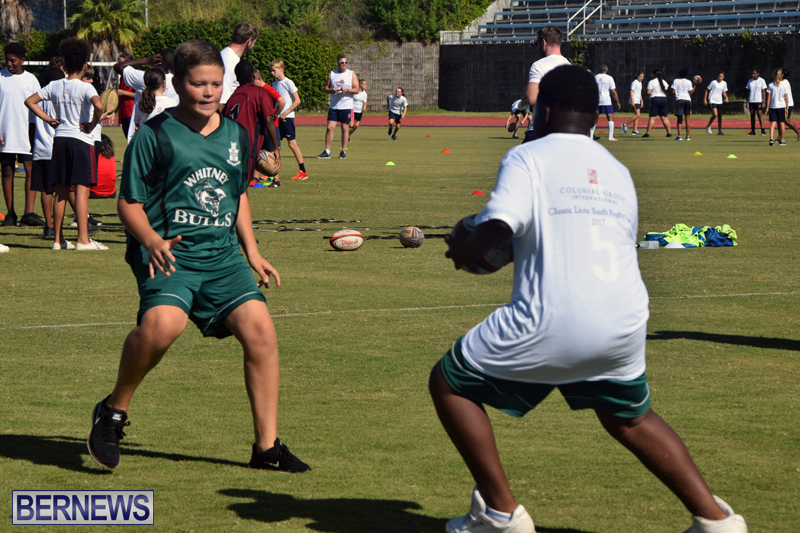 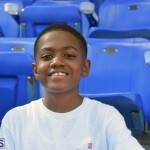 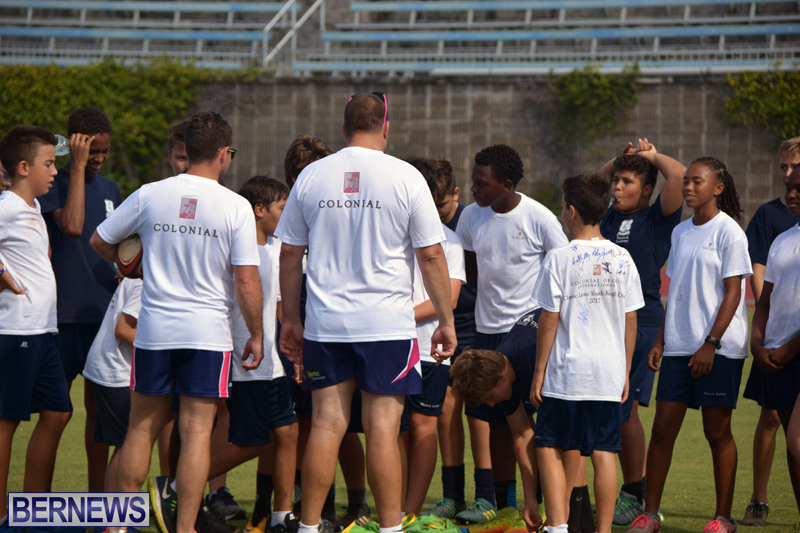 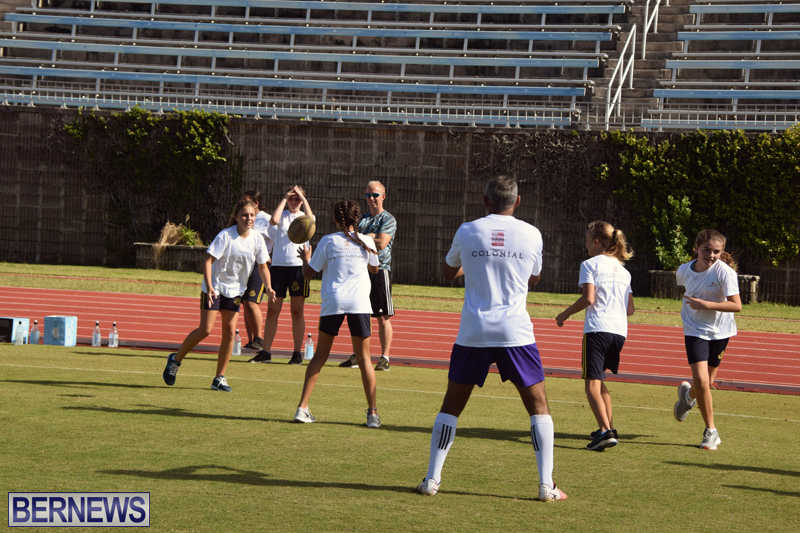 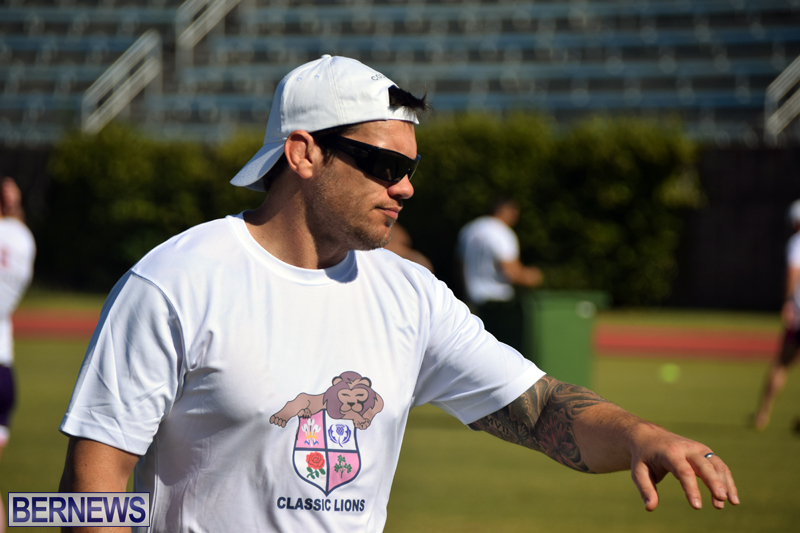 The Classic Lions and their sponsors, Colonial Group International, organized a two-hour training session for 200 boys and girls from ten schools on the Island. 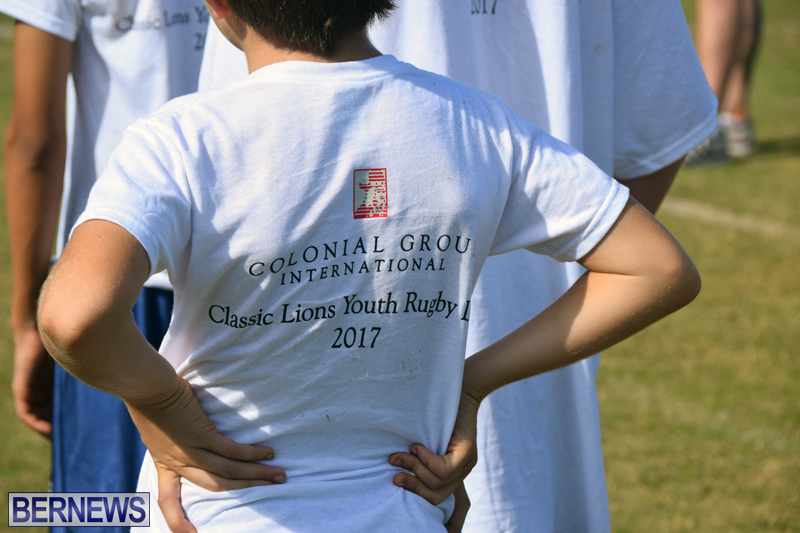 “Some of the youngsters have really quick feet, some of them are unbelievably fast,” said Classic Lions team member, Tomas O’Leary, a member of the Irish team that won the Six Nations Grand Slam in 2009. 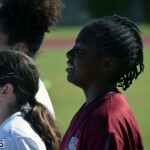 “There’s definitely a lot of talent. 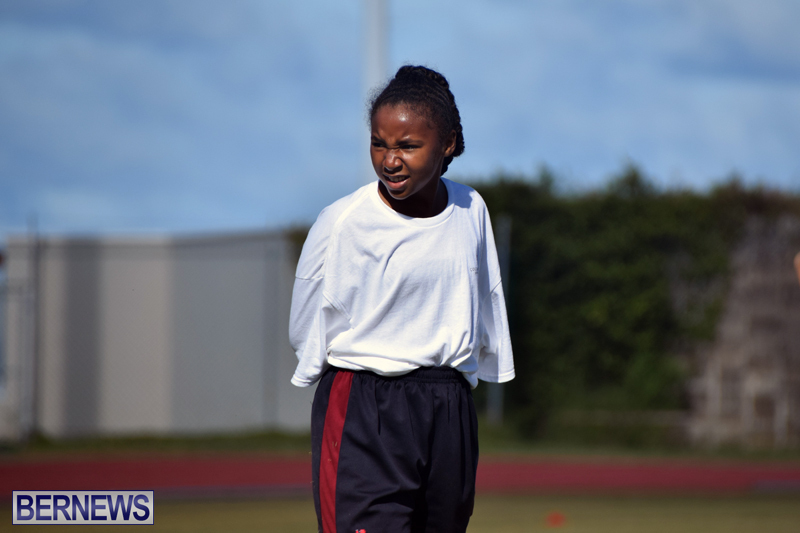 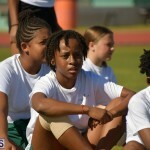 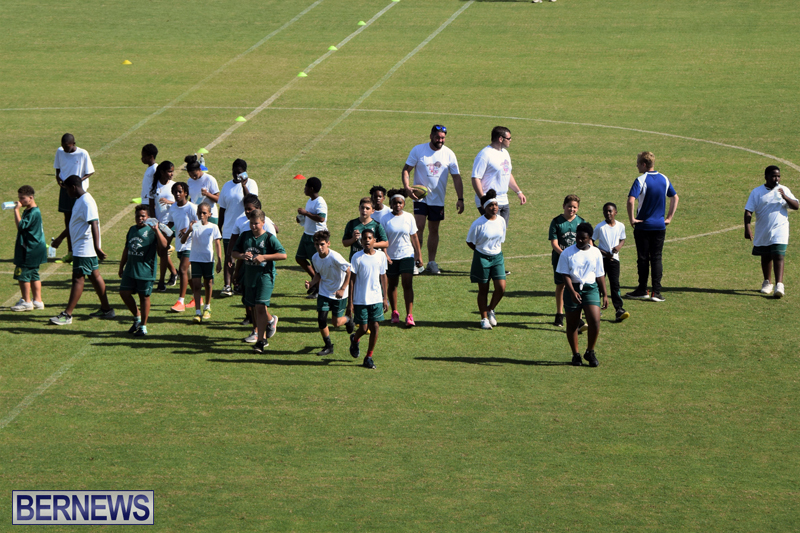 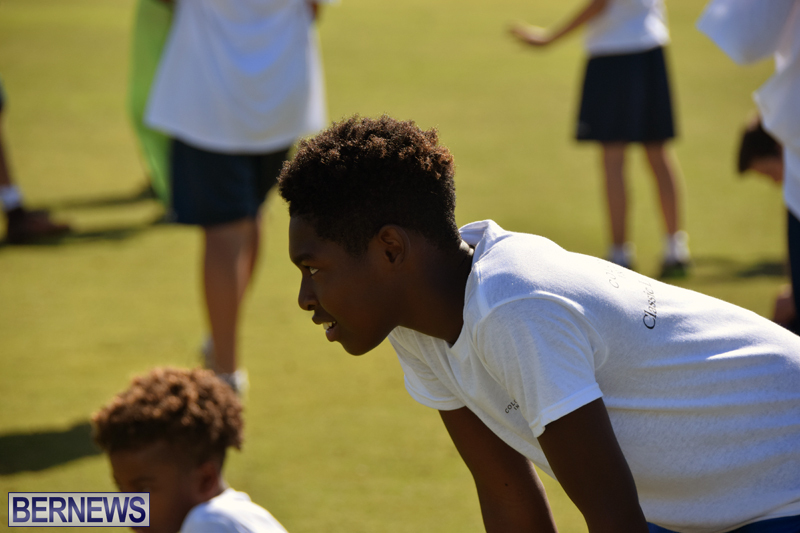 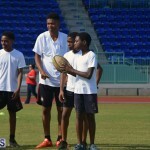 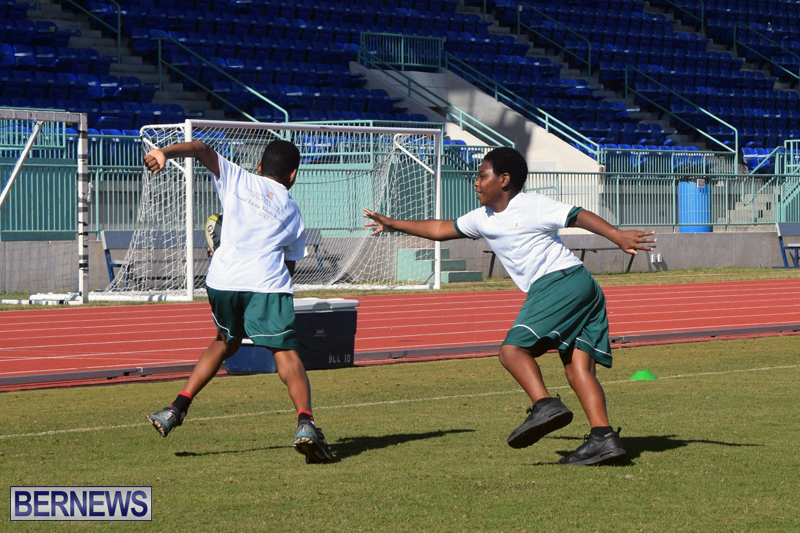 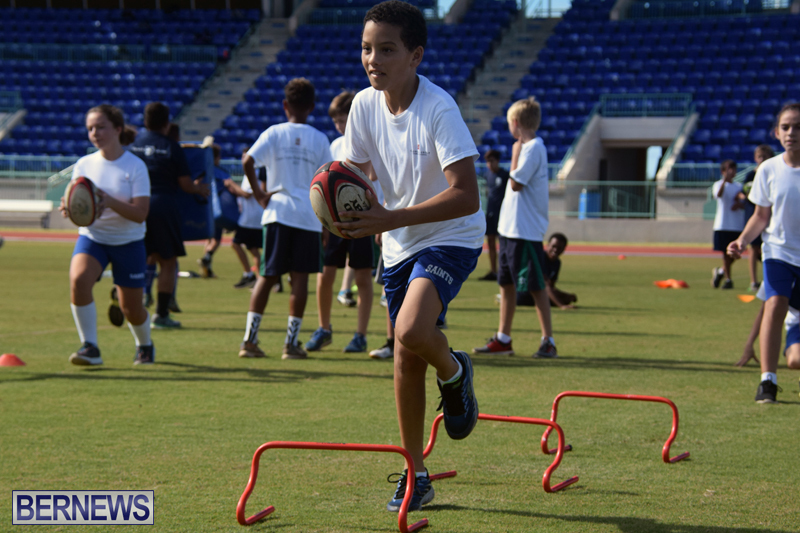 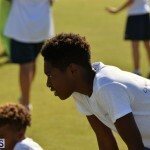 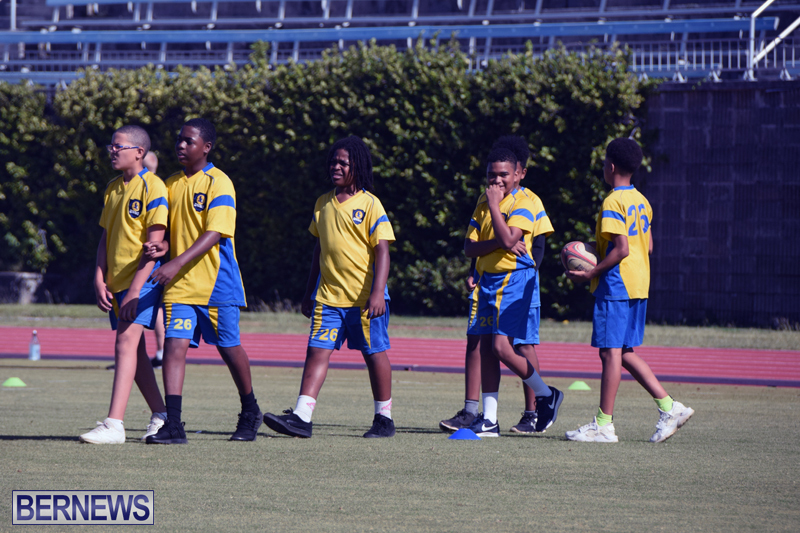 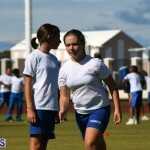 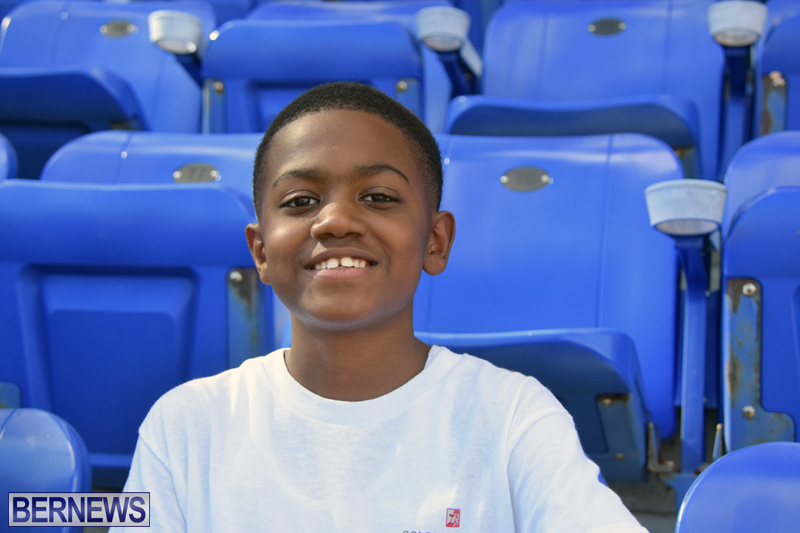 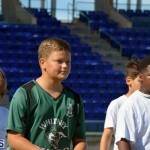 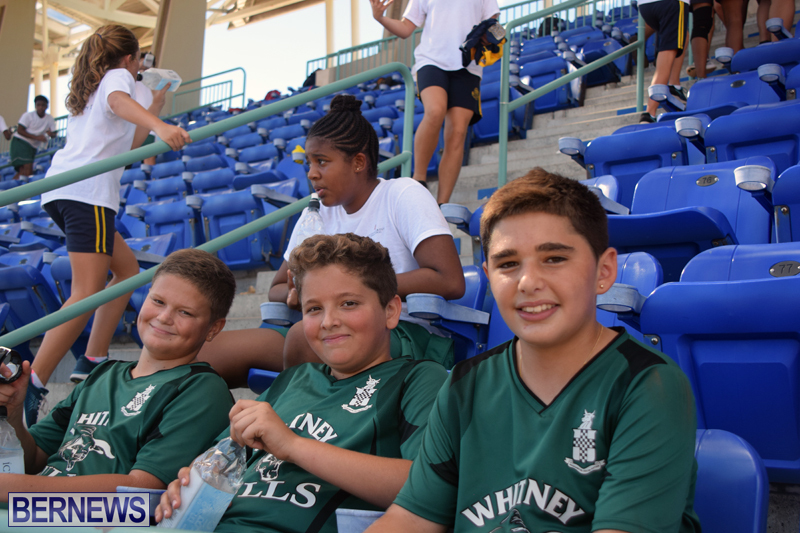 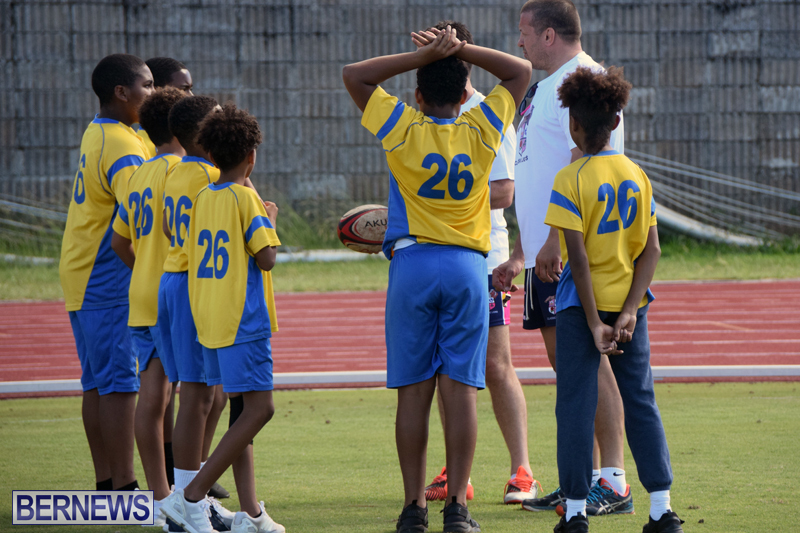 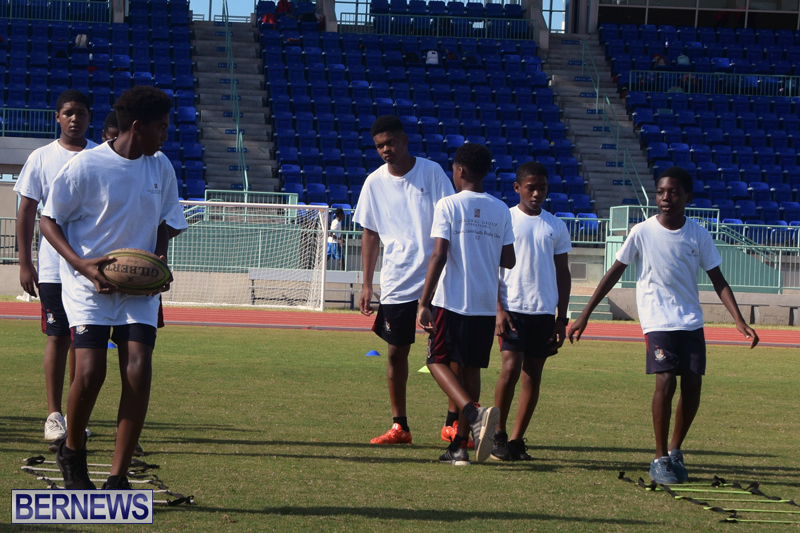 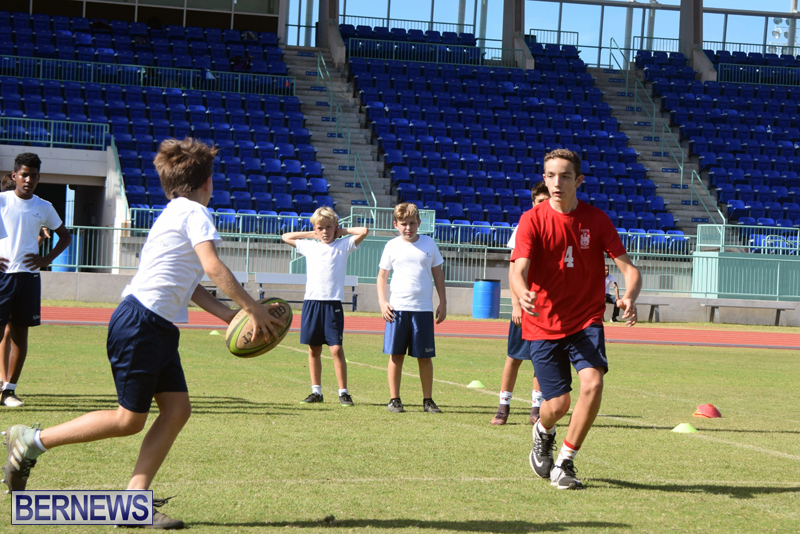 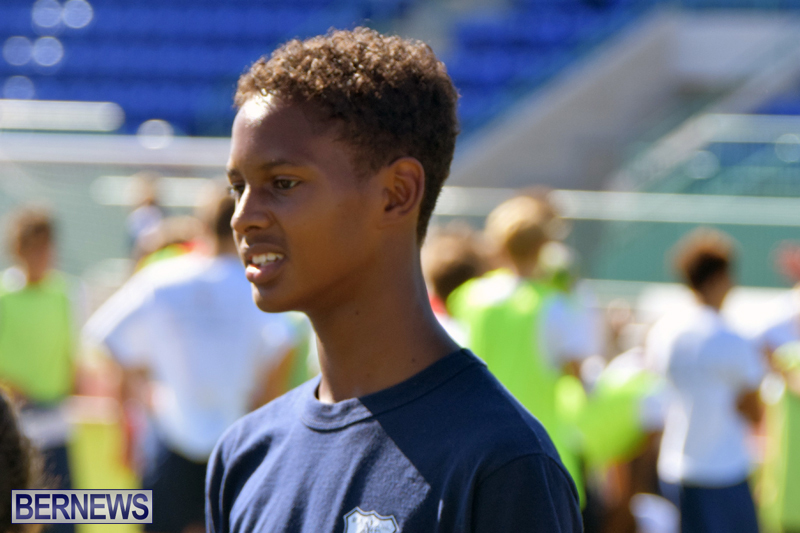 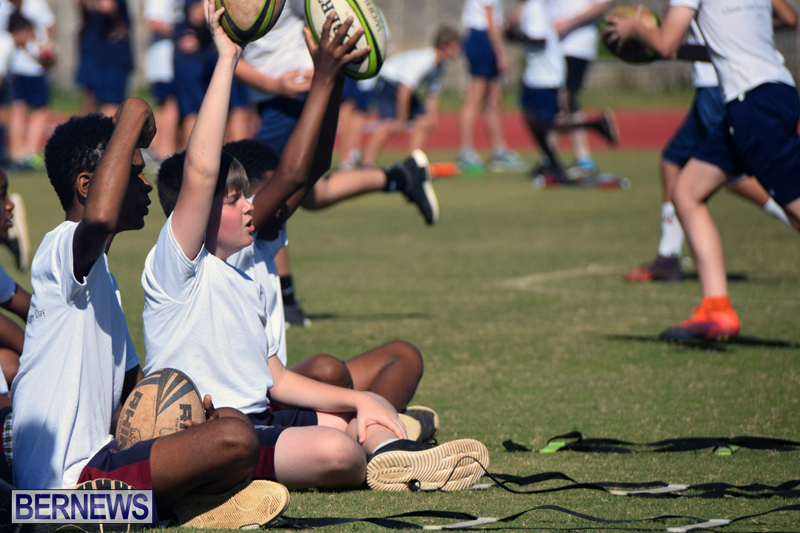 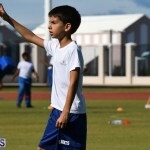 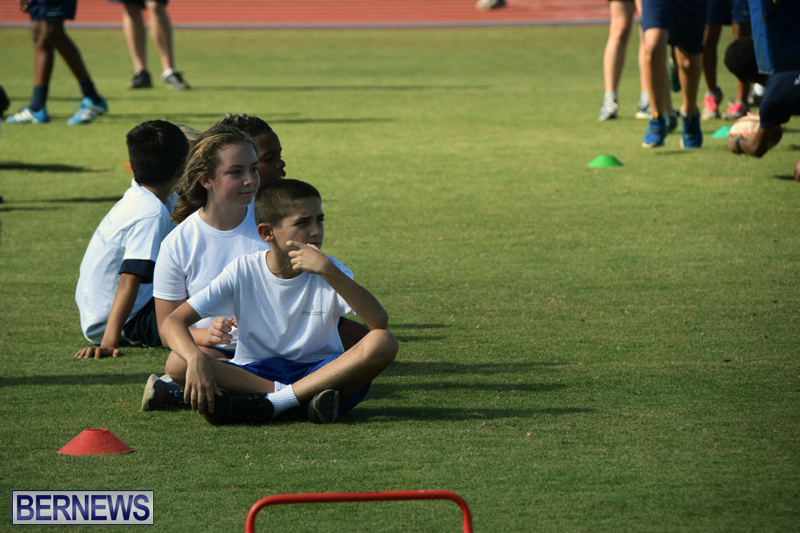 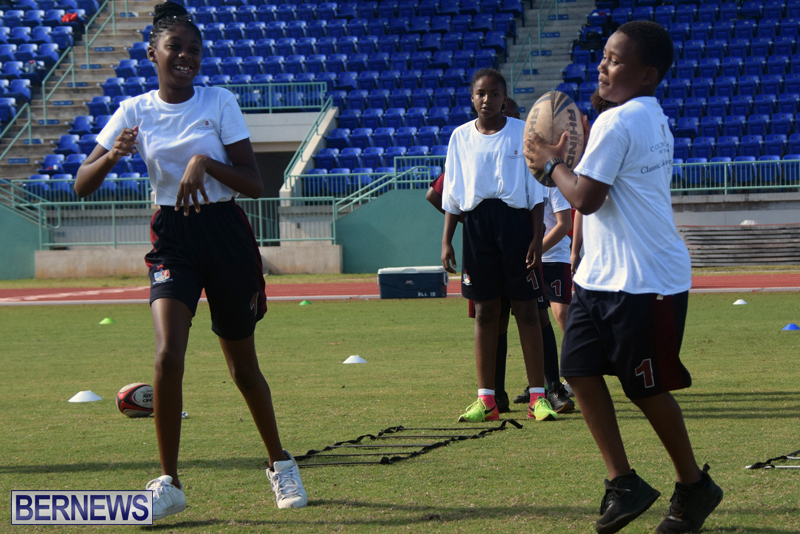 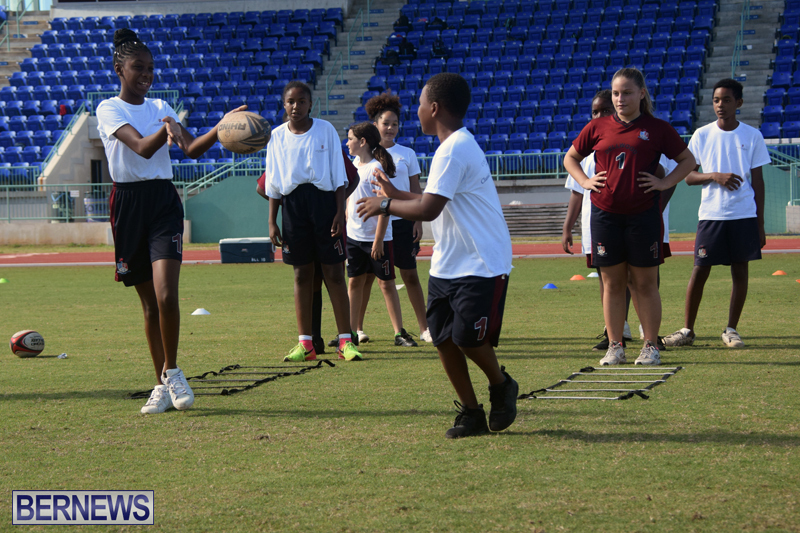 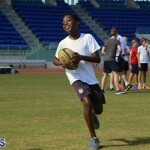 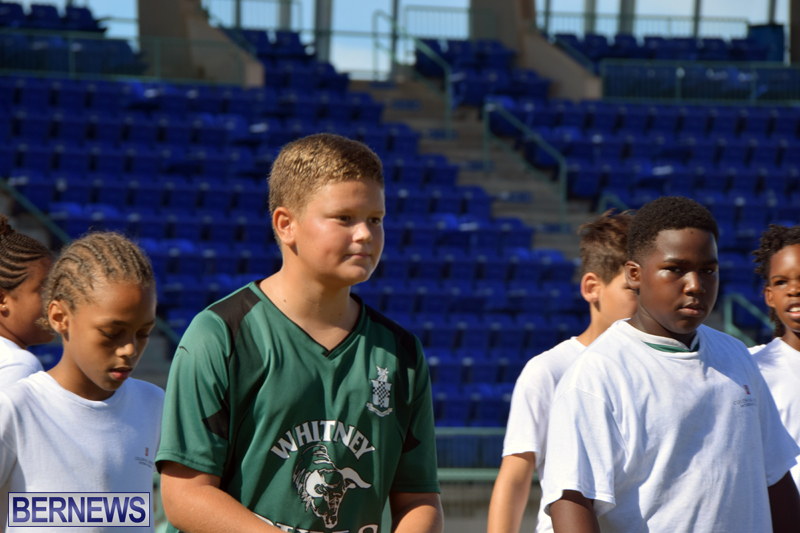 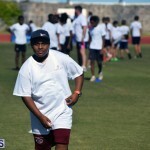 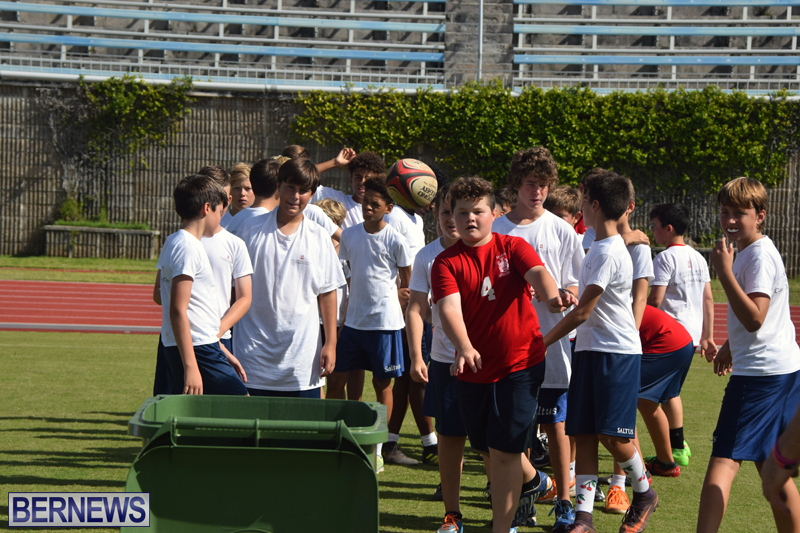 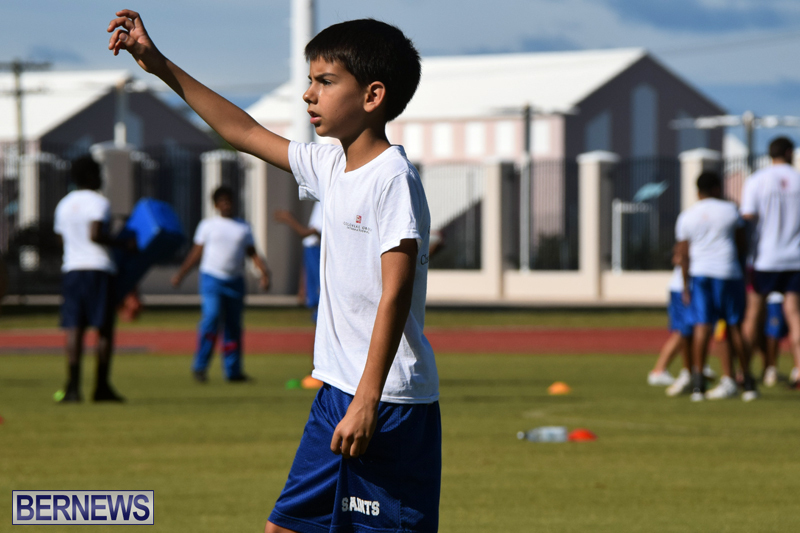 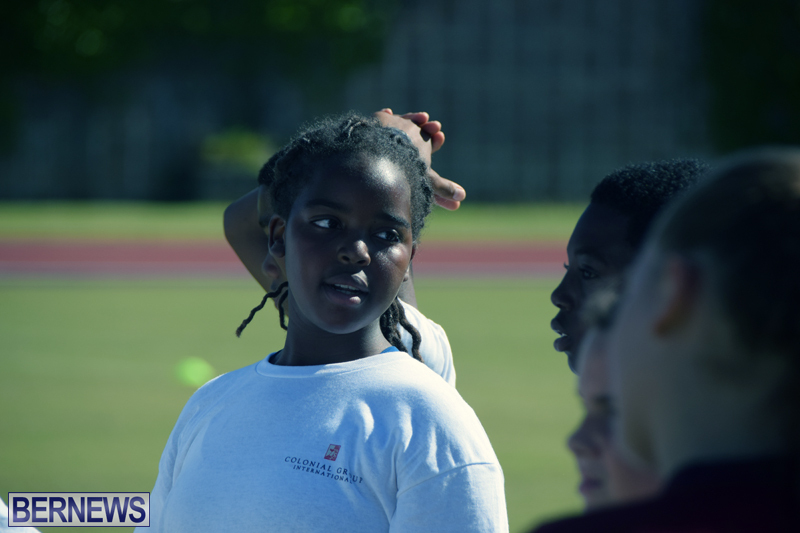 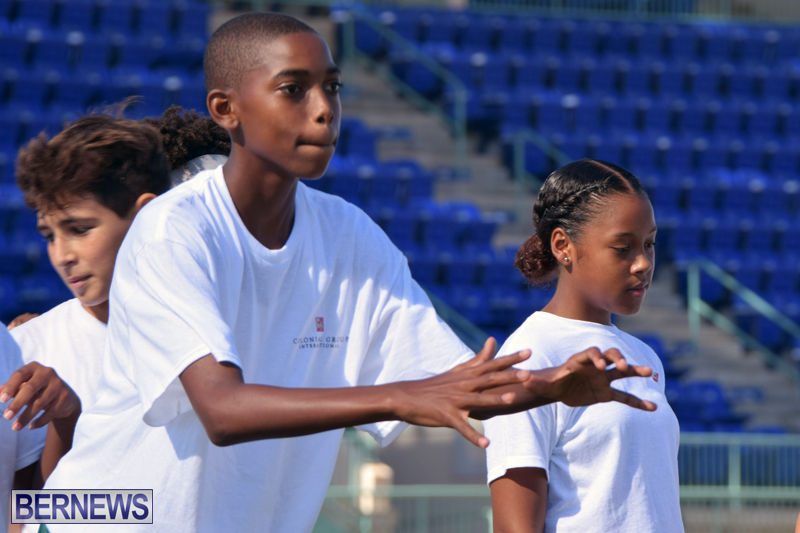 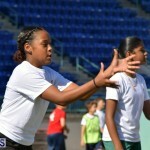 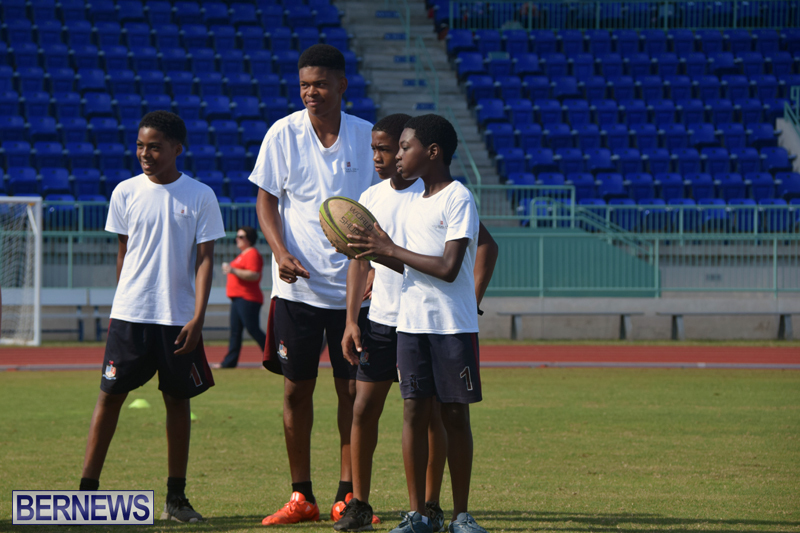 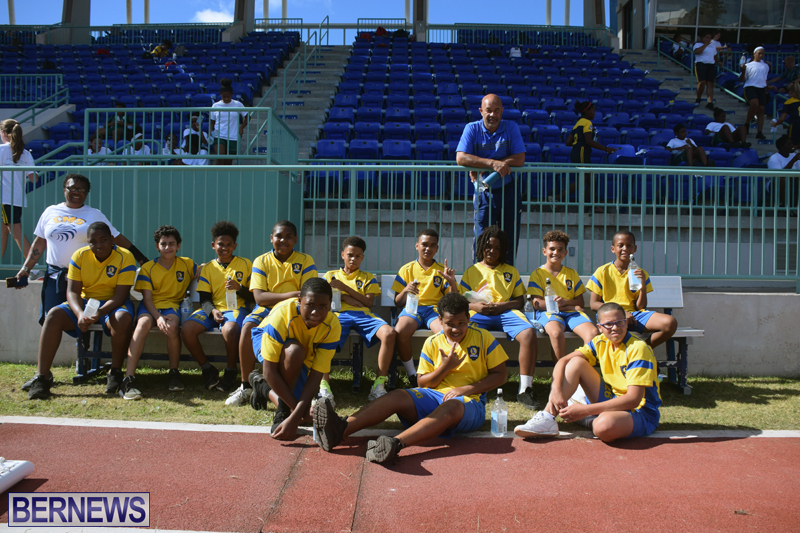 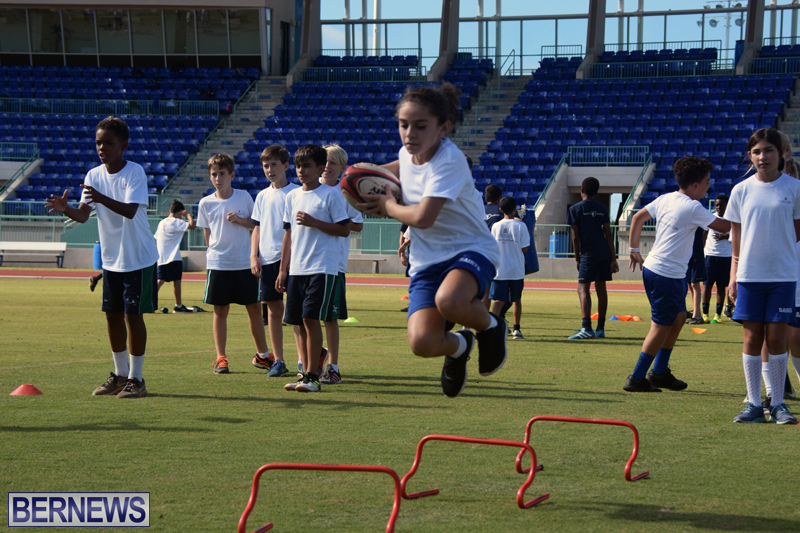 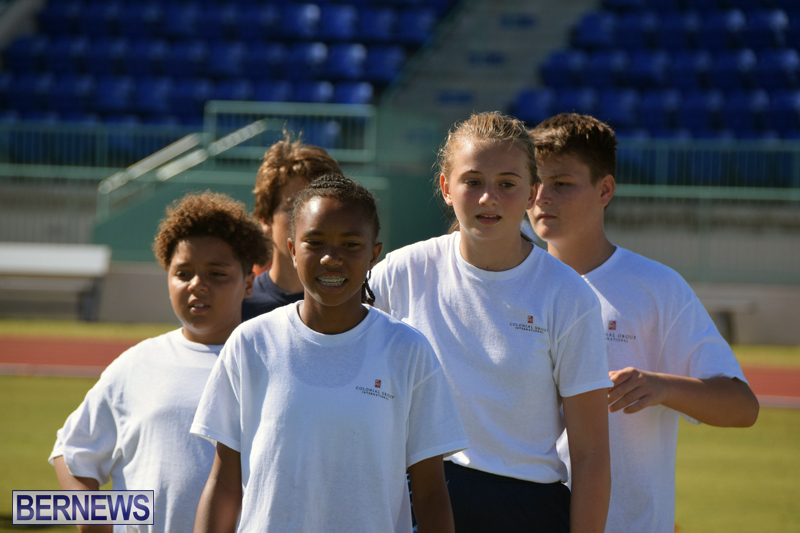 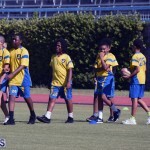 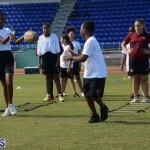 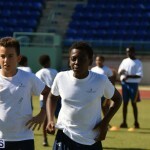 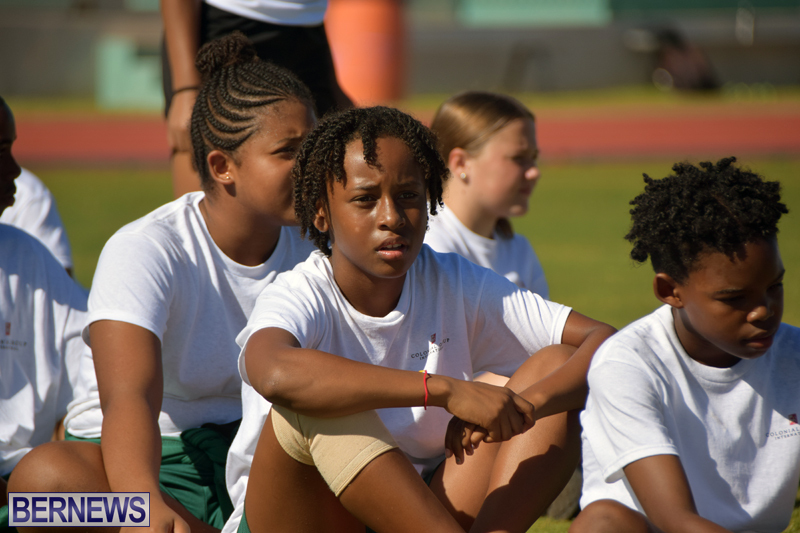 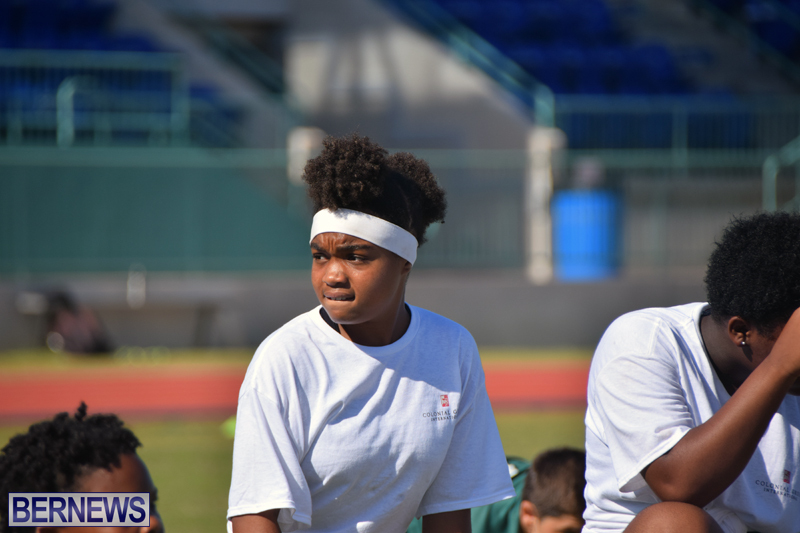 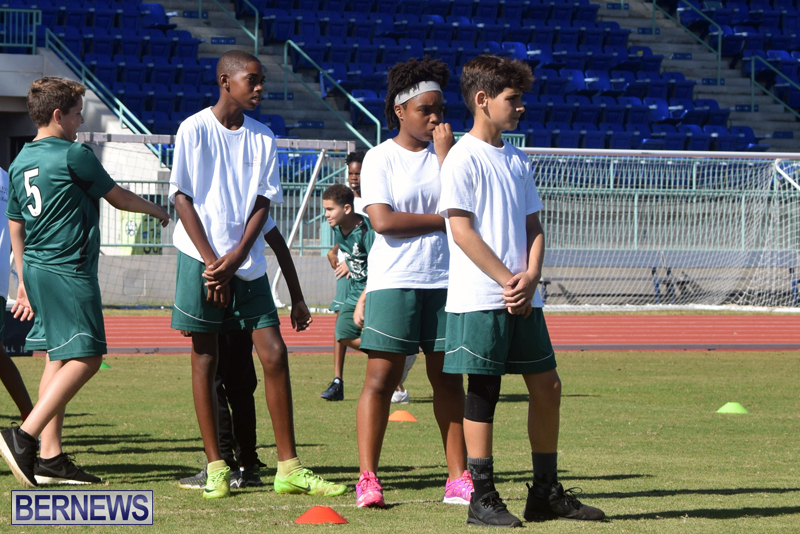 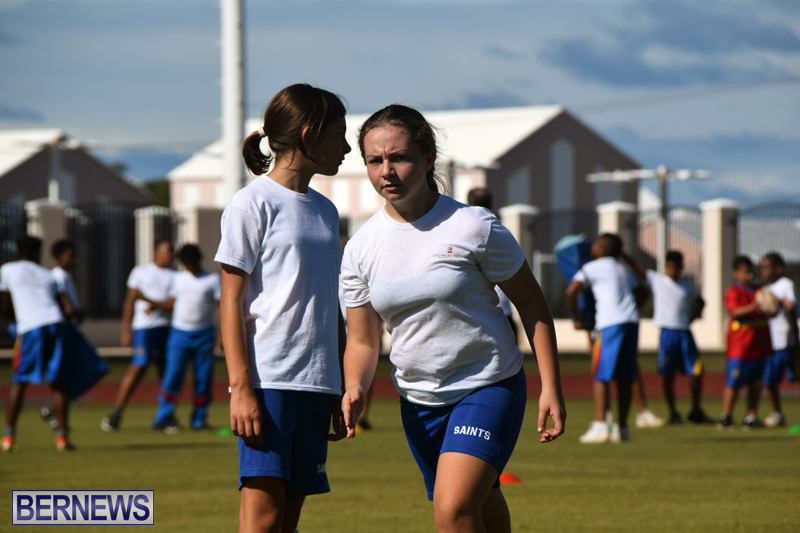 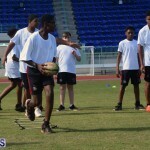 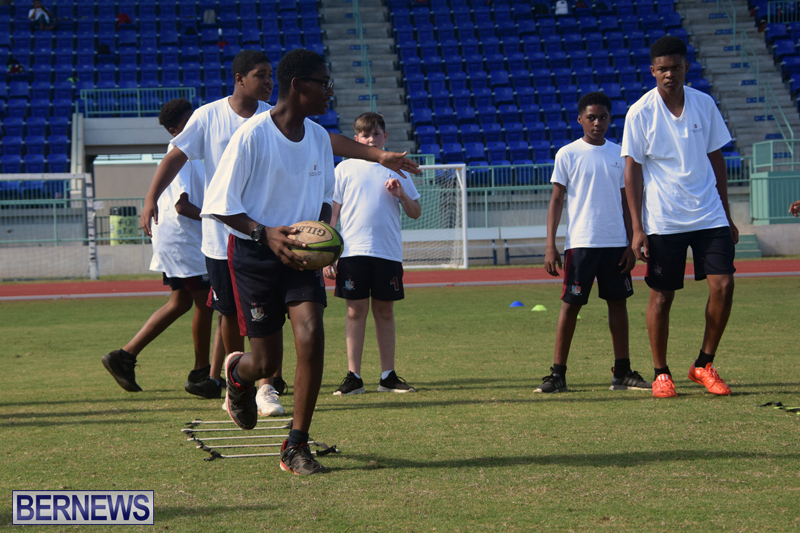 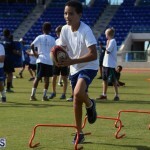 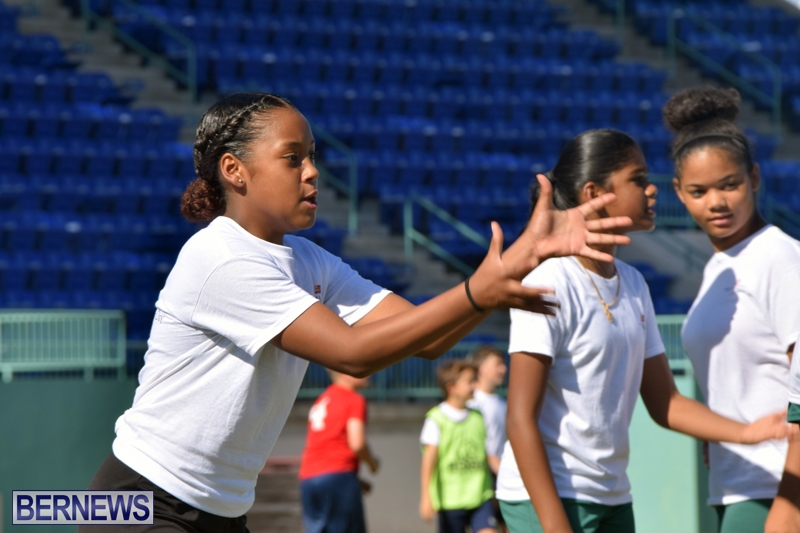 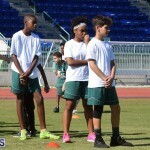 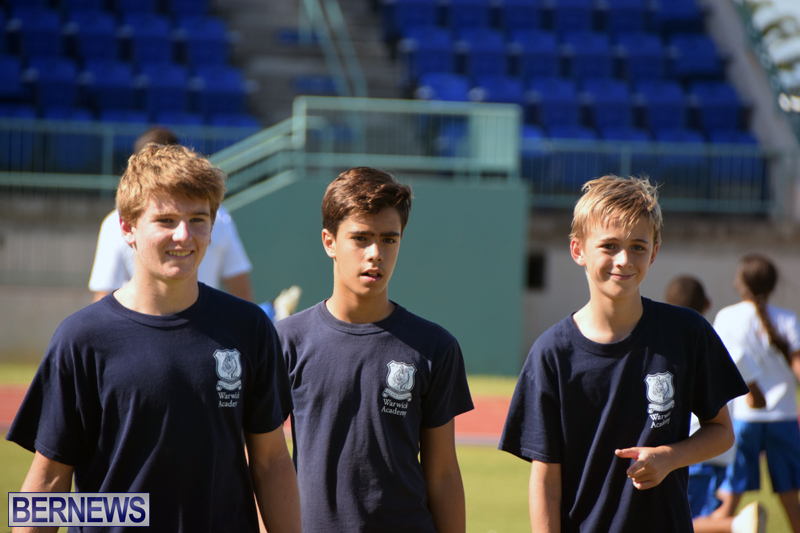 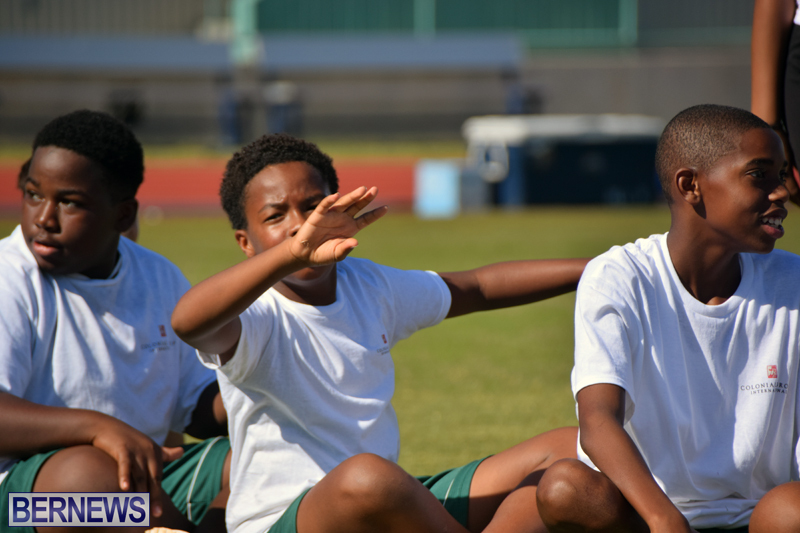 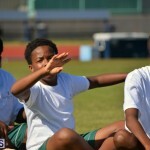 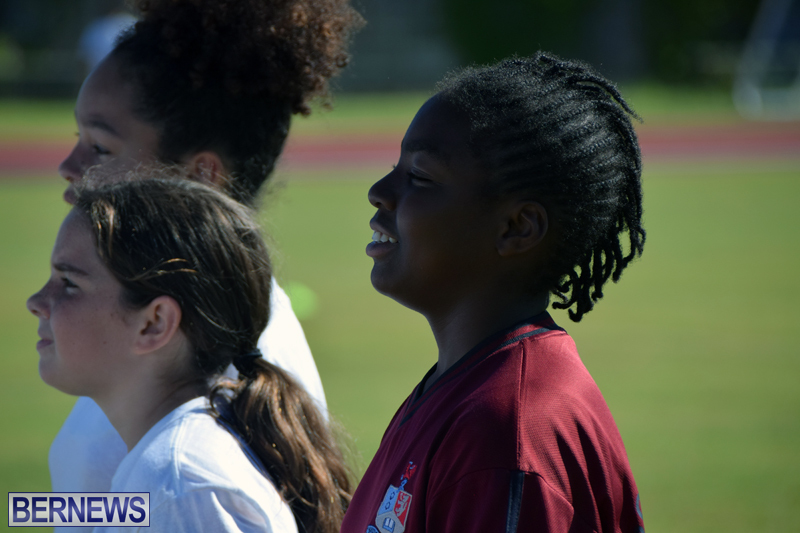 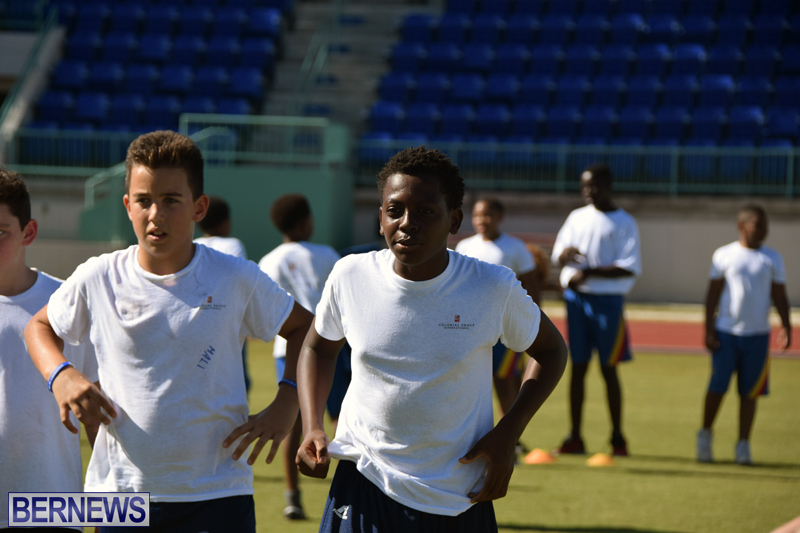 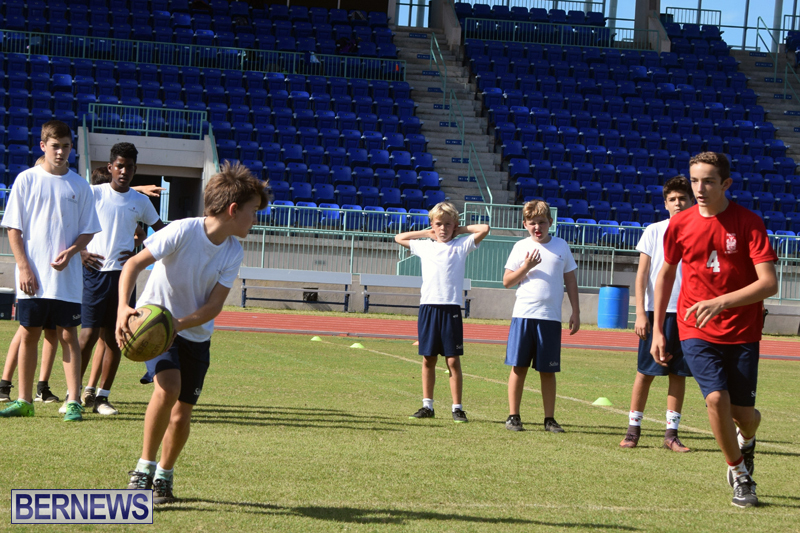 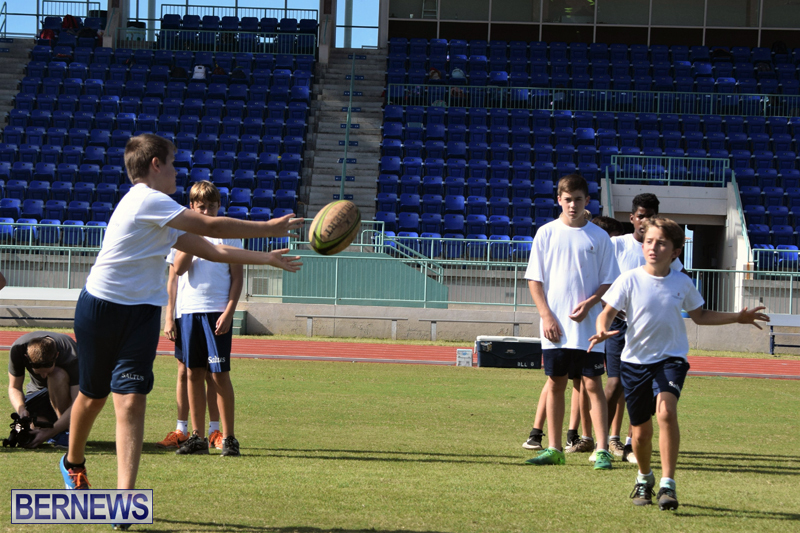 The ten schools are: Dellwood; Whitney, T N Tatem; Sandys, Saltus, Warwick, BHS, Somersfield, MSA and Clearwater and students were put through their paces with a series of skills exercises. 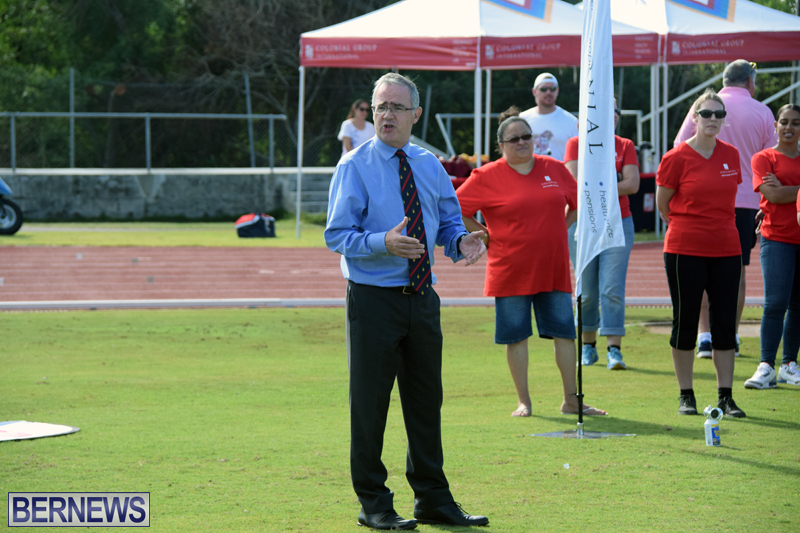 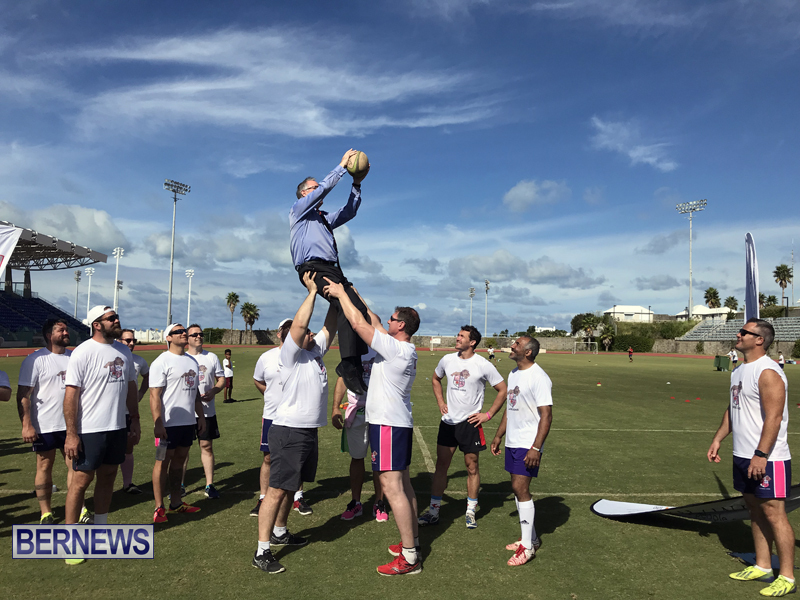 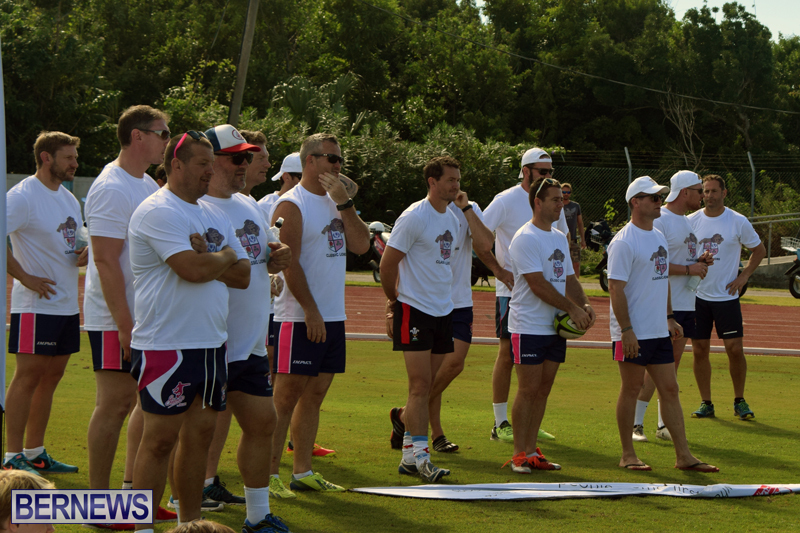 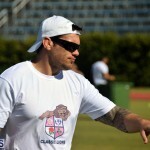 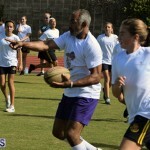 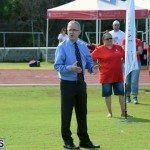 The Governor, John Rankin, attended the event and got a lift from the Lions players as he practiced his lineout skills. 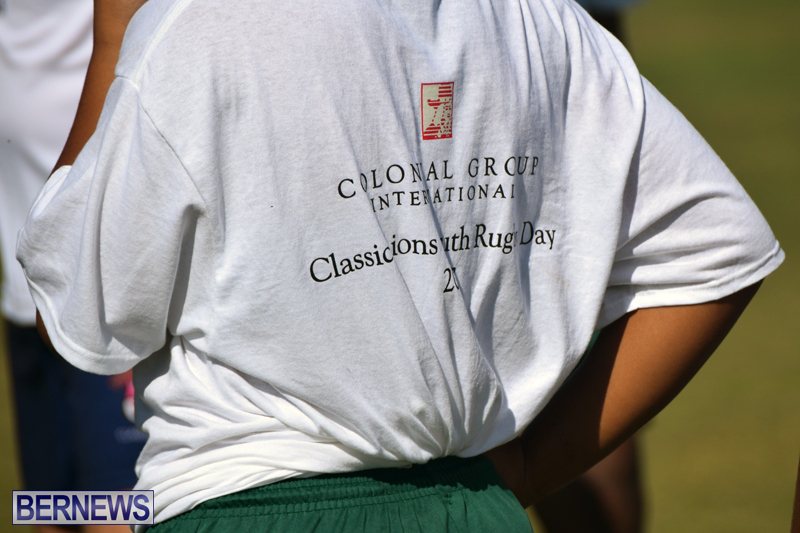 Naz Farrow, Colonial Group International’s Chief Operating Officer for Health, said the day had exceeded expectations.